Call center QA-quality assurance refers to the practice of monitoring and measuring associate performance in a contact centers. Your associates are the face of your business and your brand, and in some cases they are the first interaction a customer has with your organization. It is critical to make sure that associates are doing the right things to ensure customer satisfaction. Call center QA often takes the form of monitoring calls and reviewing and scoring them. In addition to calls, emails and chat transcripts can also be included. These interactions can be reviewed for general feedback, or scored specifically on a set of criteria predetermined by the contact center. Customer satisfaction surveys may also be part of call center QA. This allows for real-time feedback on how happy a customer is immediately after the contact. All contact centers are different, and they will have different needs, metrics, and practices. However, there are certain best practices that apply to all call centers, whether they are inbound or outbound, small or large. Manage what you measure: The data provided by call center QA can be invaluable, but only if you put it to good use. Make sure that management is regularly reviewing, analyzing, and acting upon the valuable information your call center QA system is providing. Make criteria transparent to associates: The methods and metrics you use to evaluate associate performance shouldn’t be a secret. Make sure the process is clear to all employees so they understand their roles and responsibilities. Provide rewards and incentives for high performers: If certain associates are doing a really great job of meeting and exceeding customer expectations, you’ll want to incentivize them to stay. Make sure a rewards program is part of your call center QA. This will also motivate associates to work harder to hit goals. Properly implemented and managed call center quality assurance will allow your contact center to function at optimum performance. In order to make sure that are getting the best results from your call center, you will want to work with an experienced quality monitoring partner. To learn more about a customized call center monitoring software solution, contact the experts at Evaluate Quality. Whether you are in the Phoenix or Scottsdale AZ area or anywhere in the United States, the experienced team at Evaluate Quality, founded by Sage Advantage, can help implement a call center QA software service that is right for your business needs. Evaluate Quality is headquartered in the Scottsdale/Phoenix area and has helped many call centers throughout the United States optimize their call center QA. 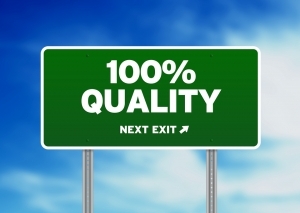 With Evaluate Quality, you can ensure that your call center is appropriately monitoring and managing quality. Contact Evaluate Quality now for a no obligation demonstration of their software solutions.